Bengalis are obsessed with fish. No surprise really as the land (West Bengal and Bangladesh) is permeated with thousands of rivers and freshwater lakes. But using the word ‘obsession’ is not an exaggeration. It is common for Bengali families in India to have fish in various preparations twice a day. Yes, you read correctly: two times every day. Having lived abroad for so long and eating so many types of other food, eating this much fish on our annual visits back to India always takes getting used to. Also, while I love fish, the exactness and thoroughness with which other Bongs eat fish is a sight to behold. Heads, tails, the fatty bits are all consumed with relish and the flesh is painstakingly chewed upon to expertly remove the bones. And then the fingers are licked clean with satisfaction. A job well done. 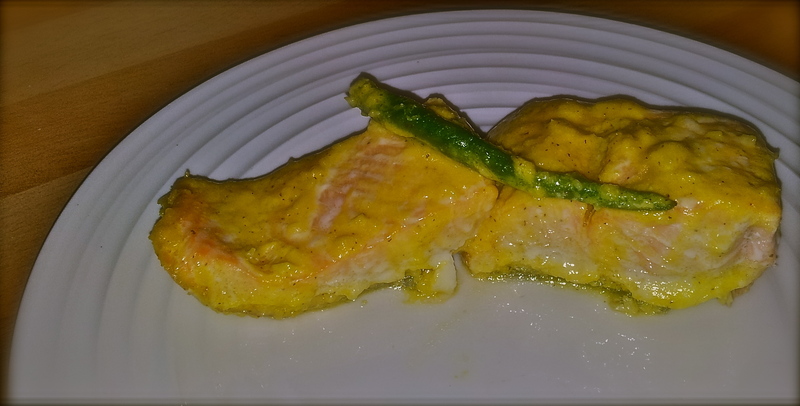 The recipe I’m about to write out involves cooking the fish in mustard, the favoured way to cook fish the Bengali way. Usually freshwater fish such as hilsa, rohu are used but while these fish are available in Asian food stores here, they usually come frozen which spoils the taste. So whenever Maa cooks fish Bengali style, she tends to use fish that is freshly available like salmon and seabass. 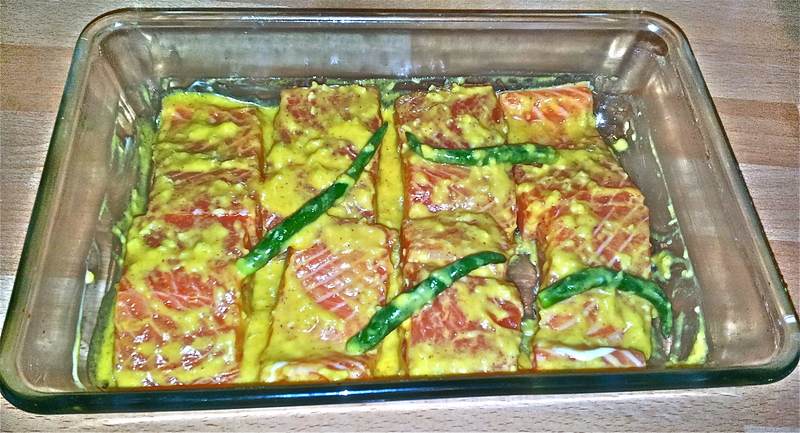 Add the salmon fillets to the oven-proof dish and mix them well with the mustard marinade. Put in oven for 15-20 minutes. Note that this isn’t a dish with lots of gravy but it makes up for it with maximum flavour impact!